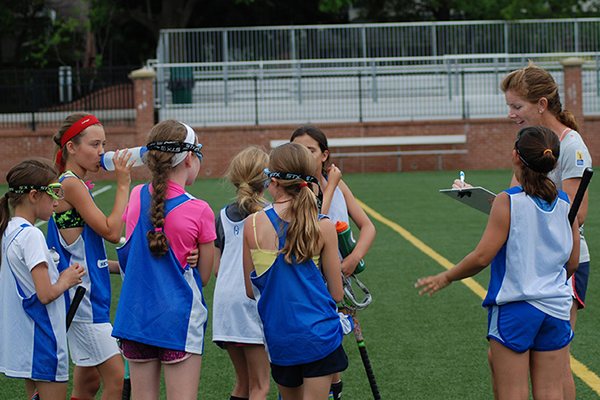 Join Revolution Field Hockey for our half day camp at Ridgefield Academy in Ridgefield, CT. Campers will be able to hone their field hockey skills in the morning and have your summer afternoons free. The camp is open to Rising 3rd Graders and UP of all ability levels. Every camper will receive a limited edition reversible jersey, ball, water bottle, and lanyard as well as other fun prizes. 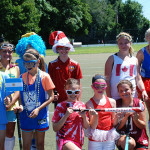 Revolution Field Hockey Camps are USA Field Hockey Partner Camps - making recommendations into the Futures program. Former Owls’ All-American Ann Farrier is in her eight season as an Assistant Field Hockey Coach with the Southern Connecticut State University field hockey program. 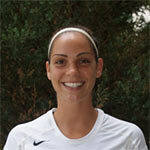 She also serves as a Co-Advisor for the Owls' Student-Athlete Advisory Committee. Check in/out: Campers check in daily at 8:30am - and will check out at 12:00pm. 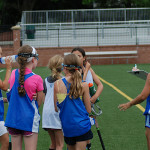 Age & Ability: This Half Day camp is open to Rising 3rd Graders and UP of all ability levels. The camp at Ridgefield Academy was great. I learned many new tips and tricks. I can't wait to come back next year. My daughter can't stop talking about how amazing Coach Farrier was. She is already begging me to go back. Thank you Revolution Field Hockey!